If you have ever gone to your local supermarket or drugstore and looked for mouthwash you have probably been presented with umpteen different choices all claiming different things at different prices. Which do you choose? Personally I do believe it takes time to find the right mouthwash. Yes all have their individual pros and cons, but for many of us we are particular about the one we choose and want to use. CB12 (view on Amazon) is a mouthwash that claims to offer ‘First Class Breath’. I wasn’t aware there was a class system when it came to the breath we give off, but I know what they are getting at. CB12 mouthwash is marketed as a premium and almost superior option in comparison to others. The packaging and price portrays this, so just how good is it. Here are the key bits of information you probably wish to know, but for our full CB12 mouthwash review, continue reading or watch our video review just below. Yes. As a mouthwash, it does what it should, it does eliminate unpleasant breath. However I personally could not support the claim of 12 hours of protection. The price varies on the size of bottle purchased, in what quantity and of course from which retailer you purchase it from. We purchased ours from Amazon, which tends to be our recommended retailer because of its competitive pricing and swift delivery, but it’s worth shopping around. It is available in bottles of 250 and 1000ml, but the 250ml is most commonly sold followed by the 1000ml option. The recommended retail prices are as follows. 250ml CB12 Mouthwash – £14.99 1000ml CB12 Mouthwash – £44.99. I have found few actually selling at the RRP and there are many deals to be had with typical prices being: 250ml CB12 Mouthwash – Around £8-10 but has been less than £7 1000ml CB12 Mouthwash – Around £40 but has been as little as £23. You can buy CB12 mouthwash in either Mint Menthol or Mild Mint Menthol from Amazon here, or check out the other retailers we have listed below. Do be sure to shop around as the prices and deals vary depending on the time of purchase. If you decide that CB12 is the one for you then you can buy in bulk to save money. Sometimes actually buying 4 of the 250ml works out cheaper than 1 of the 1000ml bottles. Yes I would recommend CB12, with a caveat. For me CB12 did what I would ask of a mouthwash, it left me with fresh breath for an acceptable amount of time. The menthol mint was a nice taste, it did not leave an unpleasant aftertaste, nor did I react to any of the ingredients. Some mouthwashes can feel particularly harsh and again for me I did not find CB12 to be guilty of this. So to the cavet. CB12 is expensive, you are paying for the branding and the marketing to some degree with this product. I was unable to really confirm that my breath was fresher 12 hours later, but I can certainly say it remained fresher for longer than many mouthwashes I have used. We have all experienced bad breath. This could be yourself, having eaten something particularly strong like garlic, you may suffer from bad breath (halitosis) or you may have had that awkward conversation where the person you are speaking to has particularly unpleasant breath. For some the solution is easier to find than others. Generally speaking a good diet and a good oral healthcare routine can help significantly. However, there are medical reasons why some suffer more than other and for those with halitosis you will likely have tried lots of treatments and products to calm the effects. Outside of your normal brushing routine (normally morning and evening) brushing your teeth at other times may not always be the easiest solution and is not always the recommended route. You can brush your teeth too much! Mouthwash is often a solution to the problem of smelly breath be induced by food or just your genetic makeup. CB12 is a modern and premium mouthwash that even has its own patent (no 1156777). The powerful combination of zinc acetate and chlorhexidine diacetate in CB12 neutralises the formation of the substances that cause unpleasant breath for up to 12 hours. Studies documenting this can be found here and patent information here. In the interest of being as fair in this review as possible I used CB12 at 4 different times of the day for around 1 week in each instance. Each time I used the recommended 10ml dosage. Generally speaking, it is advised to use mouthwash some considerable time after brushing your teeth, as by using immediately after cleaning your teeth can wash away much of the benefit brought about by the toothpaste and the act of cleaning. Thus many, including the NHS advise using mouthwash at a different time. I used at different times to try and find if there was any difference in the performance be that actual or psychologically. The test lasted for 4 weeks. 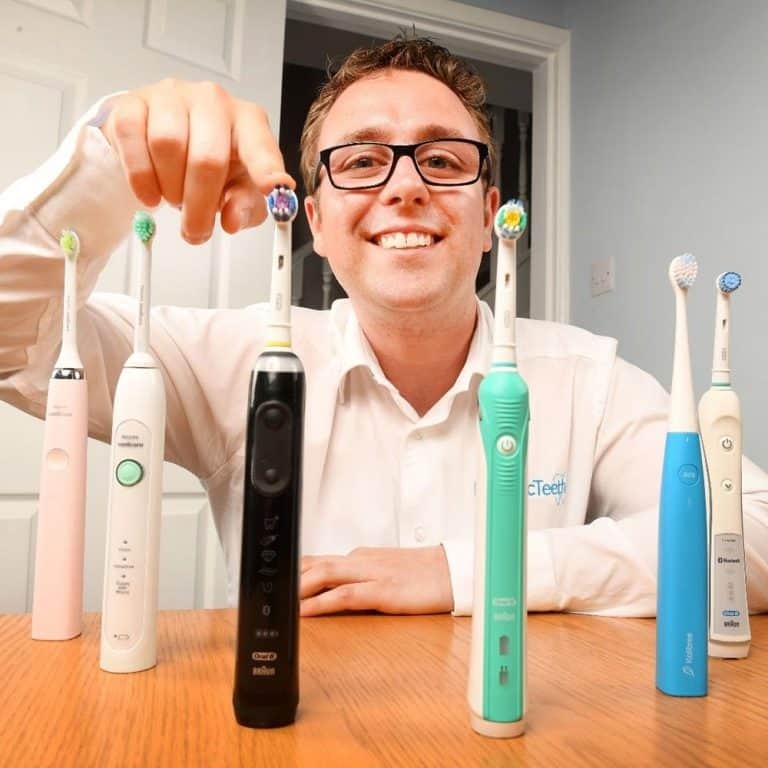 In line with this my normal toothbrushing pattern remained, cleaning my teeth twice a day for 2 minutes with an Oral-B electric toothbrush, the Pro 6000 set to daily clean mode, with a CrossAction brush head. 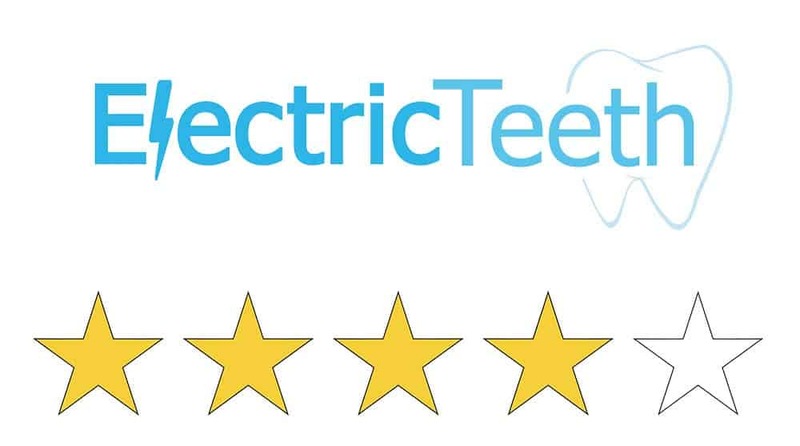 To try to make a more informed judgement I did where possible obtain the opinions of family members who I trusted to give honest feedback on the freshness of my breath before and after use. I write this review with some assumptions, those being, that like me you want a mouthwash the keeps your breath fresh for a long time and does so at a reasonable price and without leaving a harsh aftertaste. You may like a harsher or stronger taste to the wash, whilst someone else might like a very mild flavour and some of us may be happy to pay more; but what remains core for all is fresh breath. At around £8-10 for a 250ml bottle of mouthwash, it is not cheap when you compare to many of the other options on the market. 250ml appears from the research I have completed to be the most commonly purchased bottle size despite a larger 1000ml option being available. Although it is quite apparent that many retailers offer a bundle of the 250ml bottles to bring the unit price down. It is about 2-5 times more expensive than most other brands of mouthwash such as Listerine and Colgate. The recommended dosage is 10ml, which means on average a 250ml bottle will last 25 uses or just under a month for most people, maybe less if you use more frequently. Taking the lowest £8 per bottle price, this makes each use cost about £0.32p. That is quite expensive when you consider an electric toothbrush, that actually cleans your teeth costs on average 7-10p per day to use. The 250ml bottle is however very stylish and stands out amongst the other generally clear bottles full of interestingly coloured liquids. It has a clean stylish and modern look. It appeals to me particularly as I love the colours blue and white (quite similar to the Electric Teeth page design). The bottle looks very much at home in a trendy bathroom and does not stick out as the obvious mouthwash bottle like many others do. Just look at the image below to see how it compares. Is there any comparison for which the subject wins for sheer shelf appeal? What I also like is the small size means it could easily be carried in a bag and swigged as and when required. Many might think you have some fancy drink in your hand rather than a bottle of boring mouthwash. The lid on the 250ml bottle is a little shallower, but wider, than many of the more cup like lids/tops found on other bottles, but seeing as only approximately 10ml is required for each use, it is perfectly adequate, but perhaps does not provide the same surface area to grip and makes pouring a little more tricky. For those who may be a little frail or not be so confident when pouring due to movement restrictions or issues with gripping objects may find competing products better. That said you could have a glass or cup you pour the CB12 mouthwash into rather than the lid. The lid does have an inner ring to it which acts as a measure for the amount you need to pour each time, a neat little inclusion. CB12 is a clear mouthwash. No bright green, blue or pink colours, it could be mistaken for water. It does give off a minty menthol smell which can initially be a bit strong if you put your nose to it, but you soon get used to it. There is the normal mint menthol flavour as well as a more mild option. Once you get to the point of beginning the cleansing of the mouth and breath, the advised directions for use are to rinse and gargle in the mouth for 30 seconds to a minute, spit out and do not swallow. As should be expected, from the moment I began using CB12 I did notice a freshness in my breath. I can tolerate some of the stronger mouthwashes so CB12 felt relatively mediocre to the tastebuds. My fiancee on the other hand despises strong mouthwash and even with the regular mint menthol, she was pleasantly surprised and gave it the thumbs up. If you find it a bit strong or want to extend the usage from the bottle you could water it down slightly but the effects will be limited. Do be aware with using new products like different mouthwashes should you notice any abnormalities or extra sensitivity you should stop using and consult your dentist. Coming down to the crunch of the matter, how long did the freshness last? It would be great to give you something physical like an image, some readings or data to conclusively show if the mouthwash worked or not. The reality of the situation is that the results are personal opinion. I make the following comments based on having tried CB12 for 4 weeks and having kept my regular diet and gaining the opinion of trusted individuals. On a typical day that may include drinking stronger drinks like juice and tea, the freshness of the mouthwash, that I could taste, lasted not all that much longer than the last strong drink I had. So if I rinsed my mouth at 1pm and drank tea at 3pm the freshness of the mouth was virtually gone and killed off by the tea. That said feedback from others would suggest an ongoing freshness and I am sure there were some lasting effects, just that crisp freshness that you can normally taste had been dulled. Drinking water was not as bad and the freshness appeared to last longer and I would say I could still notice affects up to 6 hours later. The best results for me were overnight. When sleeping the lack of food and moisture ingestion clearly allows the mouthwash to retain the effect and in the morning whilst some of that stronger freshness taste had gone my partner commented on how the breath still appeared to smell good. Here we are talking of some 6-10 hours of effectiveness. The mouthwash worked, it did and does what it should. I do not believe that for the vast majority it will give a ‘First Class Breath’ for 12 hours. Conclusion, is CB12 any good? 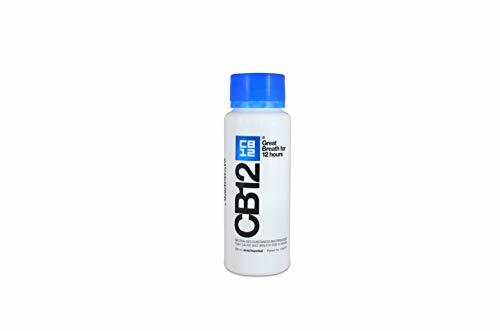 In a single word yes, CB12 is in my opinion a pretty good mouthwash. On the most part CB12 delivered on what I want, need and desire from a mouthwash. After use my breath remained fresh for a more than acceptable amount of time of up to 6 about hours. The mint menthol as a nice taste, it did not leave an unpleasant aftertaste, nor did I react to any of the ingredients. Some mouthwashes can feel particularly harsh and again for me I did not find CB12 to be guilty of this. CB12 is without doubt the best packaged mouthwash I have seen or used to date. It looks stylish, the sort of thing you can leave on your bathroom shelf and not be ashamed of, even carry it with you and take the occasional swig. The bottle looks almost like a high end premium drink than a mouthwash. If modern, clean lines and stylish design is your thing then CB12 offers the packaging for it. However, there are some criticisms. CB12 is expensive, you are paying for the branding and the marketing to quite some degree with this product. It is not produced by the larger and better known brands within the industry who perhaps have the ability to bring the price down. I believe you can get similar results for a lesser price from competing products. I was unable to really confirm that my breath was fresher 12 hours later, but I can certainly say it remained fresher for longer than many mouthwashes I have used. Individual results and opinions vary, so one needs to be mindful of this. To conclude therefore, the claims of 12 hours of fresh breath may well be a little on the long side for the average user who goes about their daily business. CB12 is a stylish, strong performing mouthwash that commands a price a little above what it is really worth. I would like to continue using it regularly, but it is too expensive to switch to for the limited additional benefits in my mind. I can see myself still using ‘cheaper’ brands frequently. Find a good deal and I may likely stockpile a few bottles and keep one in the car or bag to carry with me when I need it, as the bottle and packaging are considerably more appealing for this. You will not find CB12 on the shelves of every supermarket or drugstore. You can buy it from Amazon here or through one of the other approved sellers here. What are the ingredients in CB12? Yes, the Mint menthol contains 1.8% alcohol whilst the Mild Mint contains 1.2%. It has a cool mint or mild mint flavour, depending on which flavour option your purchase. There is no minimum or maximum number of times to use mouthwash like CB12. Most would not choose to use it more than twice a day. For best effects use some time after having cleaned your teeth to avoid undoing the work of the toothpaste. Yes and no. It does freshen the breath for longer periods than other mouthwashes I have tried but I was unable to get a full 12 hours of noticeable freshness. A 250ml bottle will last 25 uses of 10ml. From what age can CB12 be first used? 12 years old is the advised youngest age to begin using CB12 from. Yes, although this may reduce the effects of freshening the breath. The advised directions for use are to rinse and gargle in the mouth for 30 seconds to a minute, spit out and do not swallow.